The management of the Yaba College of Technology (YABATECH) has released the part-time programme admission list for the 2017/2018 academic session. 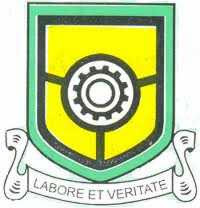 Go to YABATECH admission status checking portal at http://portal.yabatech.edu.ng/appresults/admissionchecker.cshtml/. Enter your JAMB registration Number/Application Number in the required column. Finally click on Submit to access your admission status. Read Also: YABATECH Registration Procedure for 2017/2018 Academic Session Fresh Students. Congratulations to all the candidates that made it YABATECH part-time admission list for the 2017/2018 academic session.